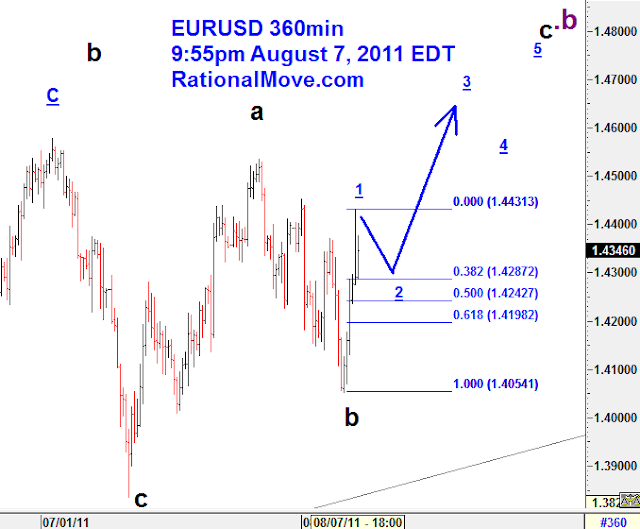 EURUSD to 1.4750 in near term? In the midst of the news of S&P’s downgrade on USA and ECB’s signal on massive purchase of Italy and Spain’s debt, here is what I think of EURUSD. 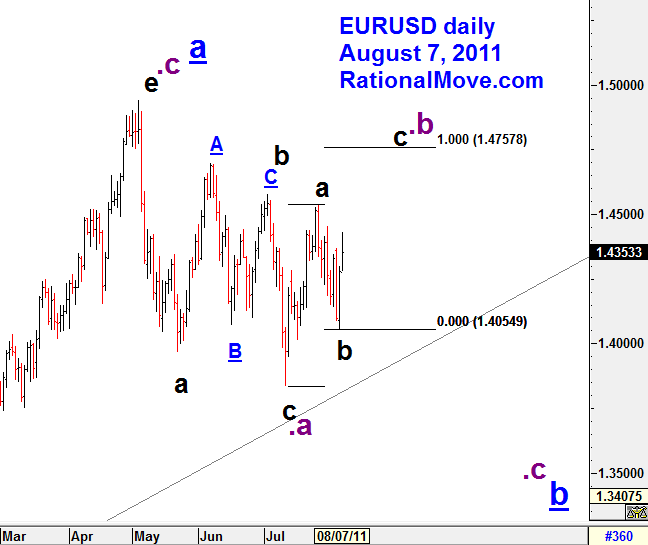 In near term, I may trade long EURUSD towards 1.4750. 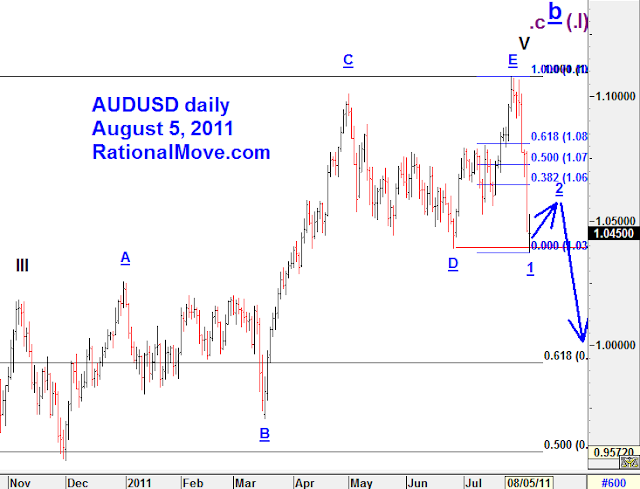 Last week, I was betting on the chance AUDUSD would make another rally, but it turned out to be a miserable nosedive. So, I closed AUDUSD long position that I held for 3 weeks. It was +0.95% plus swap interest gain. I do not account interest gain into the capital growth since they are usually less than 0.1% fluctuations of the entire capital even when I hold position this long. 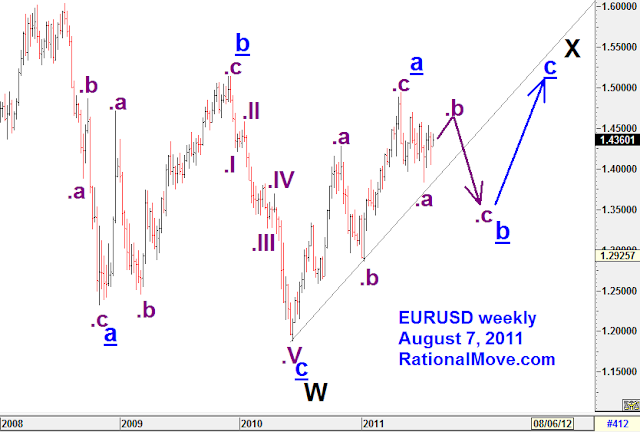 Again in this long term, it could be the end of b that is followed by c that makes even lower than 2008 bottom. But when I short AUDUSD, I should rather look at the secondary scenario, labeled with parenthases, that is more conservative downward estimate: (.II). 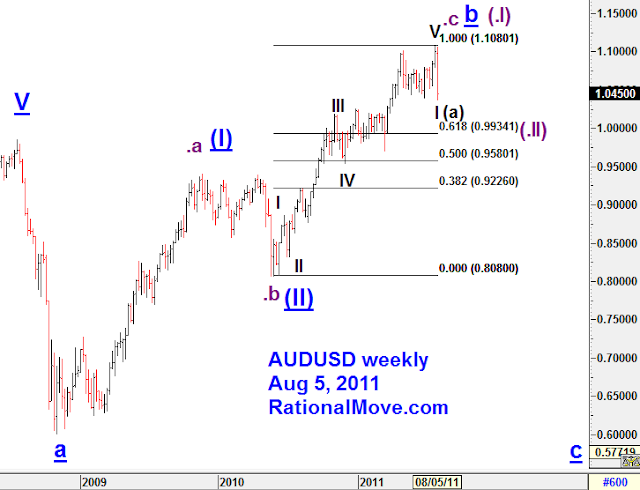 I will be prepared to bet small capital to be short AUDUSD when I see the rebound 2 around1.065 level.